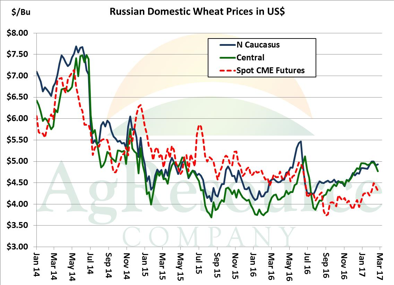 But amid ongoing favorable weather (and rising production estimates) in South America, and what looks to be a correction in Russian grain values, we’re even more willing to sell fund-inspired rallies. 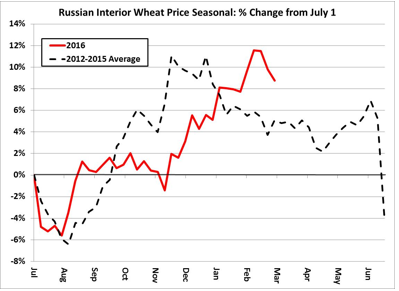 The graphic above shows interior Russian wheat prices in US dollar terms, and after a decent rally, it does indeed look like farmers there have been more active sellers. This is important, as Black Sea markets tend to drive world wheat prices, and amid this year’s record world surplus of wheat, it’s likely to affect corn values as well.